Books with which I could immerse in my imagination and create my own colourful worlds were one of the ways to dissipate depressive moods in grey communist times. Some of my fav ones I read a dozen times. I read most of them to my kids, some quite recently. Odarpi, son of Egigwa. The book was on the school reading list for grade 4, no more, what a pity. It is set in 1940s, about an Eskimo boy who gradually ceases to be a child and, through hard work and carrying out daily chores, becomes a mature young man who helps his parents survive harsh conditions in the North. The boy learns his primary duty - effective hunting, first birds, then seals, buffaloes and walruses. I especially liked the scenes when Odarpi tries raw meat, e.g., of a dead whale or hunted seals, or the content of the walrus stomach (lightly digested mussels). Did I acquire my propensity for raw meat from the book? If so, I must have also gained other pieces of wisdom from it - I often say it to my kids or even wife when they seem to be getting lazy - Everybody has to work hard in the distant North in order to survive! I especially liked the scenes when Odarpi tries raw meat, e.g., of a dead whale or hunted seals, or the content of the walrus stomach (lightly digested mussels). Did I acquire my propensity for raw meat from the book? Haha...funny you should say that. I believe I developed my love of cheese from reading Heidi as a child! Ha, firstly, it seems that you don`t know me so well even after 10 years` acquaintance. ! Secondly, I had to google this Heidi to find out it is a book about a little girl. Funny that I knew nothing about it, but that`s obvious, the only book about little girls which I read as a boy was Red Riding Hood. I prefered books about boys because I felt too strong a bond with this gender. But, thirdly, if I had read Heidi, I am sure I would also feel a great penchant for cheese. But, not just superficial love for simple cheese consumption. I mean making it first, like I imagine Heidi does in the mountain cabin! Ha! When I mentioned my propensity for raw meat, I meant not only primitive devouring it. 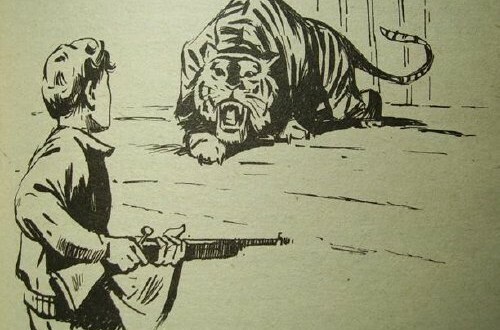 I mean also hunting and processing it! Like Odarpi DOES in the book! So, fourthly, I must present the next book although it isn`t so high on the list but you made me change the order. It is the Guide of Culinary Art which lists all major foods, dishes and ingredients in ABC order. I still like coming back to it and yes, I even read it to my kids. What I always found amusing about it was the authors` claims that all things they present in the book are delicious. Some entries became out of date today, e.g., bananas are said to be expensive and in rare supply. Why the book? Well, I have always been a fussy/poor eater who can do without food for long hours. It is nearly 1 pm now, I have been busy cleaning and haven`t found time to eat yet because I don`t feel like. I always needed to find an incentive which could trigger my stomache to send proper hunger signals to the brain. Otherwise, and it took place for half my life, I could sit in front of the plate for ages. The incentive was reading about food and eating. Odarpi has wonderful descriptions of all stages of consumption, too. 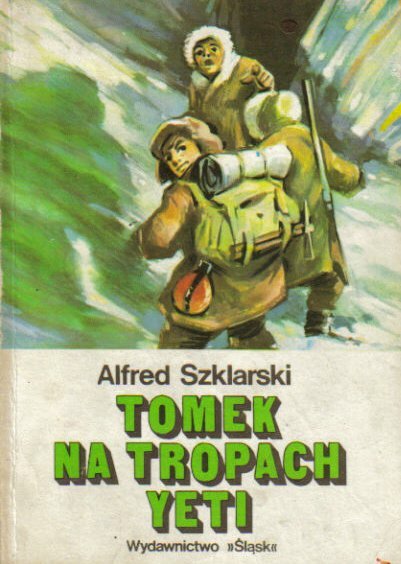 My fav series of adventure books were about Tomek Wilmowski. They were a bit infantile because main protagonists are almost always noble and virtuous. But that`s what I liked a lot - a true guide book how to behave in a decent way not to hurt other people. I also loved all those details about geography, history and culture of the regions they visit in each book. Tomek is a noble person too. He is gentle on a daily basis but can get tough and rough when dealing with bad guys. Besides, he is very curious of everything, hungry for new information about lands, people, animals, culture. Just like me. 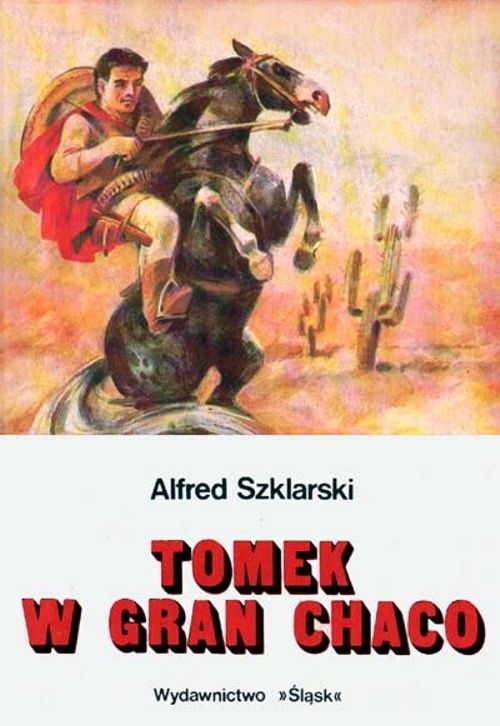 Tomek Wilmowski is a series of nine youth adventure novels written by Polish author Alfred Szklarski. 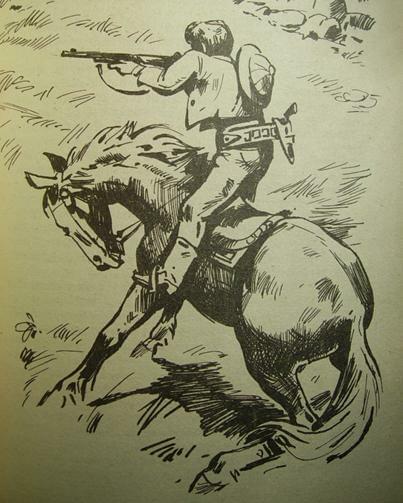 The series was published from 1957 to 1994. 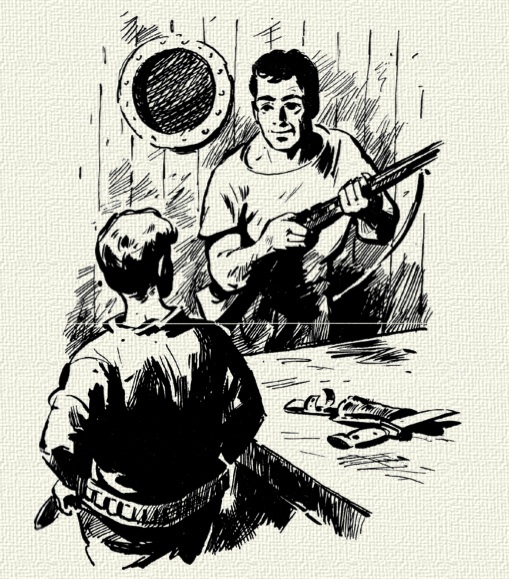 The title character, young traveller Tomek Wilmowski is the main protagonist of the novels. The books are stories about his adventures in different countries of the world. They are set in the beginning of 20th century. 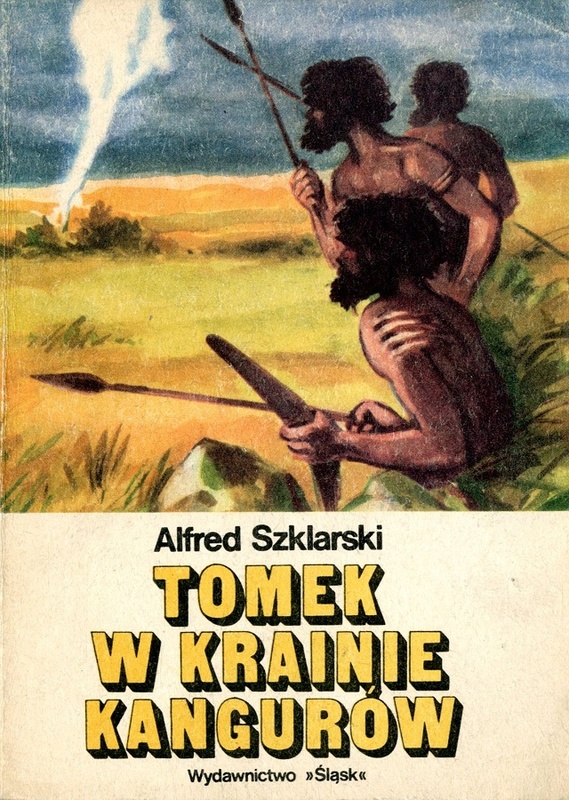 The other characters of the novels are Tomek's father Andrzej Wilmowski (geographer), sailor and comic relief of books Tadeusz Nowicki, mysterious traveller and animal hunter Jan Smuga, Australian friend and later Tomek's wife Sally Allan, his cousin Zbigniew Karski and his Russian wife Natasha. Tomek and his friends are Polish emigrants who must flee from the country under Russian occupation. The books contain much geographical, historical, cultural and biological knowledge as well as humour and entertainment which is aimed at adolescents and young adults. First adventure of Tomek in Australia. Second travel of Tomek and his friends to Kenya and Uganda, where the heroes want to catch wild animals to zoological garden. Vacation of Tomek in United States, where his friend Sally is staying and was kidnapped by Native Americans. Tomek and his father and friend, Tadeusz Nowicki are seeking the traveller Jan Smuga, who was lost in Tibet. Tomek and his friend save Tomek's cousin, Zbigniew from Russian captivity. Travel of Tomek and his friends to Papua New Guinea. Tomek and his friends save Jan Smuga from Indian captivity in Brazil and chase the murderers of the owner of a plantation. There were dozens of editions, here are the covers and illustrations from the ones I used to read.